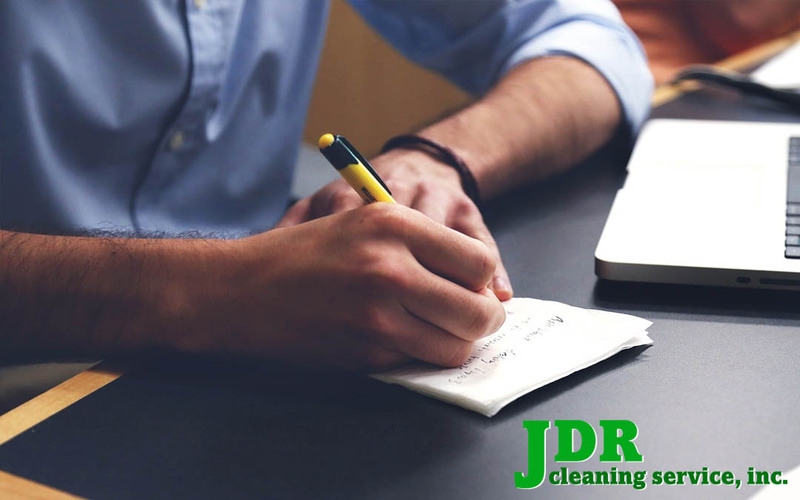 Our JDR Family • JDR Cleaning Service, Inc.
Richard and I were looking through employee files recently and realized there were quite a few men and women who have been working with us for many years. One employee has been with us over 20 years and 5 others have been with us for 10 years or more. We believe there are a few significant reasons why employees stay with our company. Most importantly, we treat everyone with respect. We value the work they do. As a family owned business, we care about them as people not just employees. Through our 26 years in business, we’ve watched their children grow up, seen their devotion as they cared for elderly parents, rejoiced with them over accomplishments and felt their heartbreak at the loss of family members. I am proud to be partners with a man who will step in at a moment’s notice if an emergency arises. Family is everything to him. When we started our business in 1991, we offered wages higher than most of our competitors. There is a saying, “You get what you pay for.” We have never regretted our decision even though it meant less money in our pockets. You can’t put a price tag on the peace of mind you get knowing you’ve hired reputable employees. We do background checks on each applicant. We put our employees into buildings after hours and our clients expect and deserve honest workers. Several times through the years employees found jewelry on the floor as they swept and vacuumed. Two employees discovered a cash deposit that had fallen into a garbage can. Everything was returned to its rightful owner. We would expect nothing less from our employees. We’ve kept in contact with some employees who worked for us through the years and left to pursue other careers. Sometimes we are in buildings doing a walk thru and someone will excitedly greet us and ask, “Remember me? I worked for you many years ago.” It always makes us proud to hear about their accomplishments.